Are you working on a diet app? Developing the diet, health, and fitness arena is a smart move. The market is huge and continues to grow at remarkable rates, but it’s a very competitive market and one that is particularly vulnerable to trends in an ever-changing industry. One way to make sure your app will remain relevant is to give people solid data in areas that will continue to be important rather than following the latest fads. Macronutrients make up one of the most durable diet foundations you can build upon. 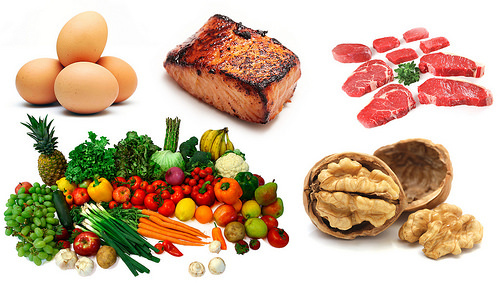 There are three macronutrients to consider: protein, carbohydrates, and fat. Just as all matter can be classified into animal, vegetable, or mineral, every calorie you ingest can be broken down into a protein, carbohydrate, or fat. If you’re eating the same number of calories but trying to decrease your carbohydrate intake, you must, by definition, increase your protein or fat percentage. A particular diet might advocate eating more protein, fewer carbohydrate, or less fat and include a lot of detail about how to achieve that, but the math remains very simple. Your users’ total calories for the day make up a pie that only has these three slices. Counting macros is much more effective in helping people meet fitness goals than counting calories alone and can help people meet their personal goals with more flexibility. For example, by using the macro three part system, it people with cardiovascular disease can reduce their fat consumption, dieters can cut carbs, and bodybuilders can put on muscle. With the flexibility of counting macros people can lose, gain, or maintain their weight. Counting macros helps dieters balance their food groups, learn portion control, and build a healthy diet. Balancing nutrients helps preserve lean muscle tissue, introduce enough nutrition into the body, and keep people feeling full and satisfied. The experts at Lifesum recommend tracking nutrients while building strength, as this practice lets people get more creative with meal planning while still meeting their goals. If your diet app allows users to track their macros, the app will be compatible with a wide range of diet plans. There are a variety of diets on the market that are based primarily on counting macros, from Atkins to South Beach. Even the Weight Watchers point systems and ketogenic diets take macros into account. An app that tracks macronutrients is compatible with many diet choices. Even better, once your users are comfortable using your app, they can continue using it even if they switch diet plans. Basing your app on macro tracking will give it the flexibility needed to satisfy users regardless of their goals or even the specific plan they’ve chosen. Tracking foods and meals across these three macronutrient groups is a simple, flexible, and powerful way to help your users change their eating habits and improve their health.